Chronic venous disease occurs when the valves that control blood flow between your legs and heart no longer work properly. As a result, blood may flow backwards in the veins and increase vascular pressure. A number of other factors may cause chronic venous disease, including excess weight, inactivity, blood clots, and injury. No matter the cause, the disease can cause severe symptoms, including swelling, infections, ulcers, and skin rashes. Because of this, it is essential that you speak with an expert who can help you identify, diagnose, and treat the disease. In today’s post, we’re going to look at a few of the risk factors that can lead to chronic venous disease. Although all people are susceptible to chronic venous disease, people over the age of 50 are at a much higher risk. If you’re over this age and experiencing symptoms, speak with your specialist immediately to begin creating a plan. 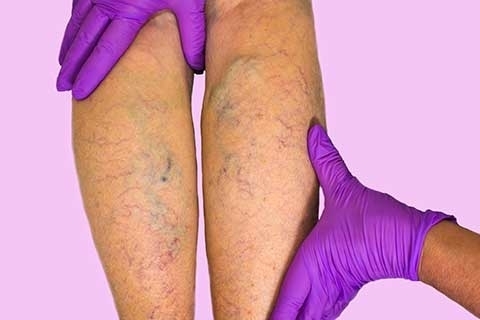 As with many diseases, a genetic history of chronic venous disease and other vascular issues is a risk factor. If your parents or grandparents suffered from the disease, be sure to keep an eye out for the signs and symptoms. Extended periods of inactivity can increase your risk, whether you’re inactive at home or sedentary at work. One way to combat this is to improve circulation by regularly getting up, walking around, and being active. At Advanced Vascular Surgery, our goal is to arm all of our patients with the information and tools that they need to live a healthier, happier life. If you’re concerned about the symptoms and risk factors of chronic venous disease, we encourage you to browse our website, learn more about us, and contact us to schedule a visit.